In Old Toulouse, this 5-star hotel's rooms/suites, in a charming 18th-century family home, provide an intimate, cosy setting. Thomas Vonderscher, Michelin-star chef, created the gourmet Le Cénacle's menu. The Club offers champagne-based cocktails, and the Executive Lounge and library invite you to linger in surprising ways. Elegant meeting spaces, a spa and gym complement this luxury wellness bracket. 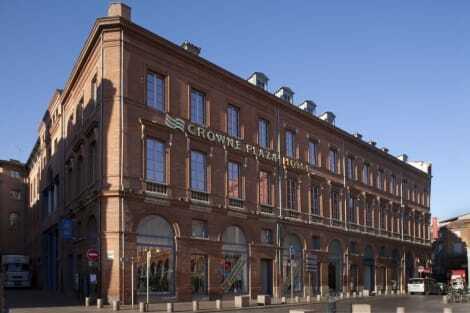 Stylish Toulouse hotel with terrace dining and prominent Place du Capitole setting Located on grand Place du Capitole square, Crowne Plaza® Toulouse hotel is steps away from the Basilica of St. Sernin. 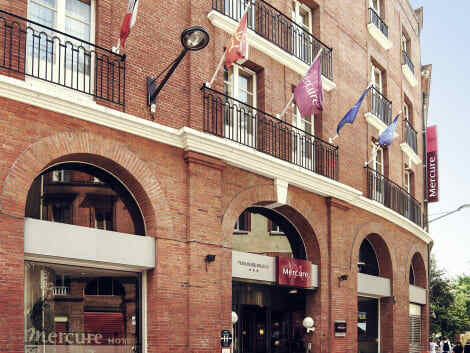 The hotel occupies an elegant redbrick building set amid restaurants, boutiques and narrow old town streets. Capitole metro station is a three-minute walk away. The Augustins Museum, the Garonne river and Théâtre du Capitole opera house are all within a short stroll of the hotel. Our 8 meeting rooms can host events for up to 140 guests, and Toulouse-Blagnac Airport is less than 20 minutes' away by car. Major international companies are within easy reach, as are the Pierre Baudis Convention Centre and the Diagora Congress Center. At our hotel you can enjoy: - Free WiFi - On-site and valet parking - A Business Centre Each warmly decorated room features a marble bathroom, as well as our Sleep Advantage® programme premium bedding. Some have views of the square, and executive rooms offer access to a private lounge. Our fashionable restaurant has floor-to-ceiling windows and a leafy terrace with fountains, while the bar regularly hosts live music. A casual alternative, our Fast & Fresh meals are ready quickly to keep you energized and focused, especially after a workout in our fitness centre. Make yourself at home in one of the 92 air-conditioned rooms featuring flat-screen televisions. Complimentary wireless Internet access keeps you connected, and cable programming is available for your entertainment. Bathrooms with showers are provided. Make yourself at home in one of the 34 individually furnished guestrooms, featuring kitchens with refrigerators and microwaves. Flat-screen televisions with satellite programming provide entertainment, while complimentary wireless Internet access keeps you connected. Conveniences include safes and coffee/tea makers, as well as phones with free local calls. Featured amenities include complimentary newspapers in the lobby, dry cleaning/laundry services, and a 24-hour front desk. Planning an event in Toulouse? This hotel features 129 square feet (12 square meters) of event facilities. 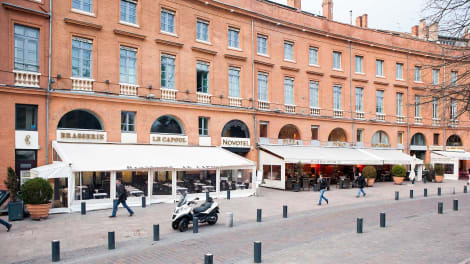 With a stay at Privilège Appart-Hôtel Clément Ader, you'll be centrally located in Toulouse, within a 10-minute drive of Place du Capitole and Toulouse Business School. This 4-star residence is 2.8 mi (4.5 km) from Toulouse Exhibition Center and 3.5 mi (5.7 km) from Cite de l'Espace. With a stay at ibis budget Toulouse Cité de l'Espace 1 in Toulouse (Toulouse South-East), you'll be within a 15-minute drive of Cite de l'Espace and Toulouse Exhibition Center. This hotel is 3.7 mi (6 km) from Place du Capitole and 11.1 mi (17.9 km) from Toulouse Business School. Make yourself at home in one of the 74 air-conditioned rooms featuring flat-screen televisions. Complimentary wireless Internet access keeps you connected, and digital programming is available for your entertainment. Bathrooms with showers are provided. Conveniences include desks, housekeeping is provided daily, and cribs/infant beds (complimentary) can be requested. 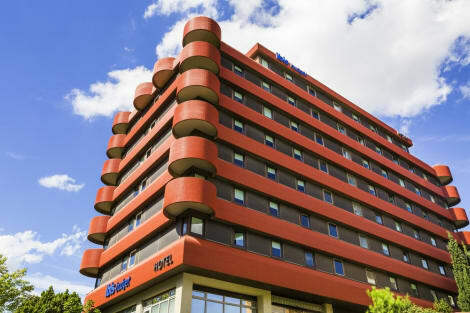 With a stay at ibis budget Toulouse Centre Gare in Toulouse (Toulouse North), you'll be within a 15-minute drive of Toulouse Business School and Place du Capitole. This hotel is 3.8 mi (6.1 km) from Toulouse Exhibition Center and 4.1 mi (6.7 km) from Airbus. Located 3.9 km from Toulouse Expo in Toulouse, Sweethome Saint-Sernin offers accommodation with a kitchenette. 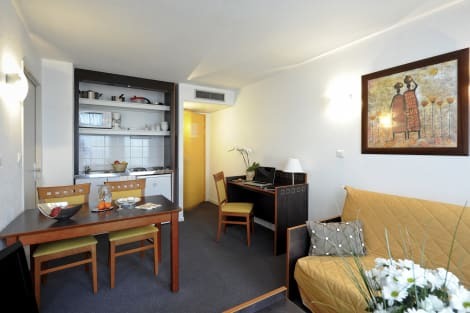 Housed in a building dating from 1985, this apartment is 4.1 km from the Zénith de Toulouse and provides free WiFi. Comprising of 1 bedroom and 1 bathroom, this apartment features a flat-screen TV. The apartment offers a terrace. Toulouse Stadium is 5 km from Sweethome Saint-Sernin, while Amphitheatre Purpan-Ancely is 6 km from the property. The nearest airport is Toulouse-Blagnac Airport, 9 km from the accommodation. Steeped in sumptuous architectural wonders and bristling with cutting-edge innovation, Toulouse is a city that bridges the old and the new with wonderful aplomb. Known affectionately as the ‘pink city', due to Toulouse's unique use of pink stone for many of its elegant landmarks, the city is also characterised by the soaring majesty of its medieval spires, Romanesque basilicas and Baroque churches. The ancient liveliness of its architecture cohabits easily with Toulouse's status as the hub of France's technological economy and is a testament to the city's confidence as a major destination in one of France's most spectacular regions. 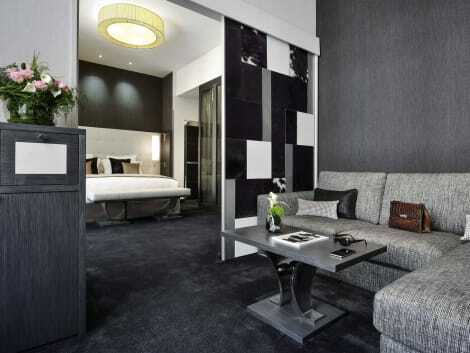 Toulouse hotels offer a range of accommodation that can satisfy all budgetary and other requirements. Toulouse's impressive style can be appreciated at the Place du Capitole, in the heart of the city. Surrounded by great shopping and fine dining, you can indulge in the finest in French cuisine whilst admiring the pink-bricked Neoclassical grandeur of the Capitole. San Marzono is a popular restaurant serving delicious food with great views of the plaza. No French city break is complete without a relaxing stint in an authentic café. Café Albert provides the ideal Continental ambiance with lovely seating areas beside the plaza. The immense façade of the Basilica of St Sernin is one of many great features of this monumental Romanesque church. Standing for over a thousand years on Roman foundations, this sublime building is a World Heritage Site and boasts arguably the grandest organ in Europe. It is a place guaranteed to give you chills, leaving you humbled and inspired. You'll find more religious treasures at the Notre-Dame de Daurade, built in 410AD and originally a temple dedicated to Apollo. Containing beautifully complex medieval craftsmanship, the Church of Les Jacobins is a masterpiece of intricate design. If you're not too breathless after all that grandeur, you can simply walk along the rose-coloured streets at dusk to appreciate Toulouse's old southern charm. Along with great historical attractions, Toulouse is a city that specialises in the future. As the centre of Europe's space and aeronautics industries, you can explore the cosmos at Cite de l'Espace or take the Airbus factory tour to see the world's biggest airliner being assembled. Toulouse is a renowned centre for the arts with the Theatre du Capitole ready to captivate you with the wonders of the opera. Le Chateu d'Eau is a disused water tower converted into one of the world's oldest photography museums. The Musee de Augustin is a beautiful gallery of medieval art and Romanesque sculpture, giving you informative and compelling details on Toulouse's Occitan culture. With your stomach full of cassoulet Toulousain and your head giddy with all that Toulouse has to offer, you will truly feel that this city is a place of life-affirming grandeur that you'll remember long after the vintage wine has worn off.